A digital literacy framework that can be applied to any library situation and role. There are many digital literacy models or frameworks. Most tend to have a higher education or school focus which makes them difficult to apply to libraries. Belshaw’s (2014) digital literacy model however separates digital literacy into components that are meaningful for everyone, including library staff. Belshaw’s model provides a holistic approach to digital literacy where knowing how to use technology is just one of the eight elements (Cognitive). The model is broad enough that the elements can be applied to any library situation and role. It is also a descriptive model making it a suitable learning framework for improving the digital literacy fluency of both digital novices and confident digital learners. 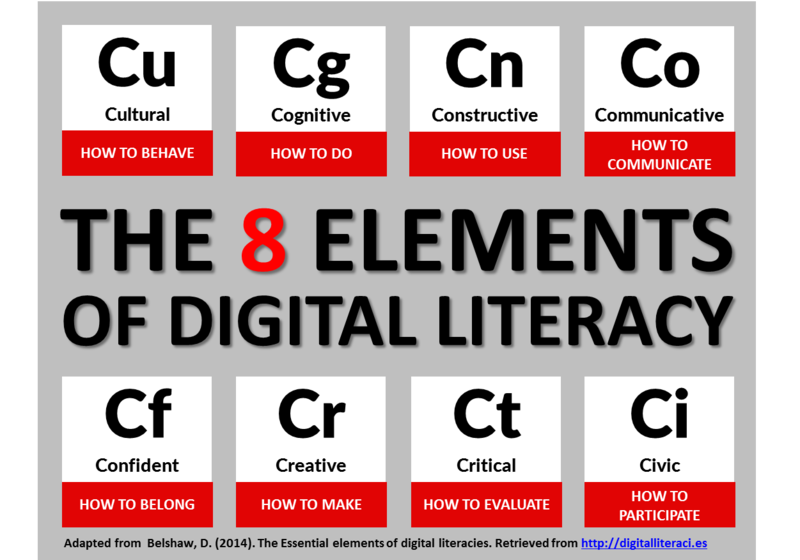 Read more about the 8 elements of digital literacy. Library Intelligence has a self-paced online course for each digital literacy element. They are practical with activities and can be completed over multiple sessions. All but one of the courses take just 60 minutes to complete.